I realize that to many I come across as attacking individuals, but this is not my intent. It’s likely that, if I met UMJeremy on the street, I would view him as an amicable, sociable fellow. But brotherly love, human fellowship and Christian unity should never trump biblically sound doctrine. If an individual is spreading postmodern heresies and thus tearing down the true, born again Body of Christ, I will call that individual out no matter who he or she is. 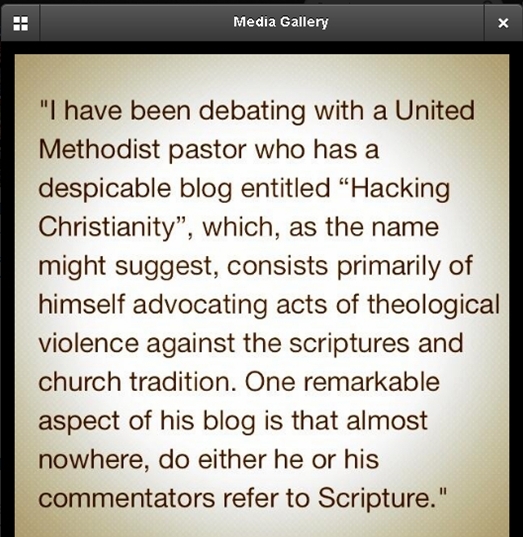 UMJeremy has a blog named “Hacking Christianity”. His blogs strike me as typically postmodern musings. 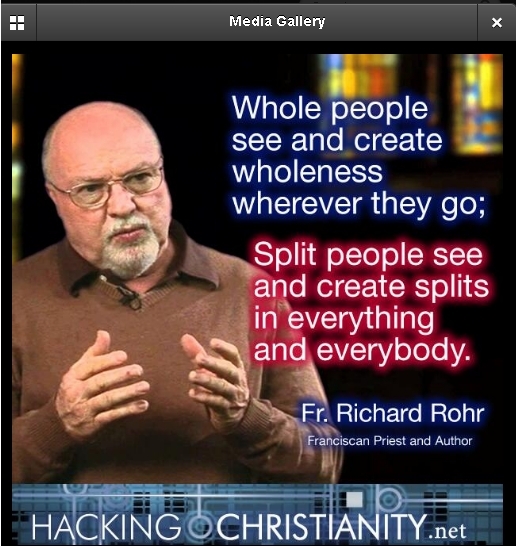 They fit the mold of postmoderns Brian McLaren, Tony Campolo, etc. etc. Click here for his Manifesto. Also, click here for UMJeremy’s church bio page. And click here for his Hacking Christianity Facebook Page. Since I haven’t seen a doctrinal statement yet by UMJeremy (postmoderns are infamous for denying the need for doctrinal statements), I have been surfing a bit for objectionable material. There is plenty to object to, as a born again “fundamentalist right wing Christian”. Question – what does UMJeremy mean by “winning”? Note that he doesn’t deny “advocating acts of theological violence against the scriptures and church tradition”. Nor does he deny his lack of reference to Scripture. 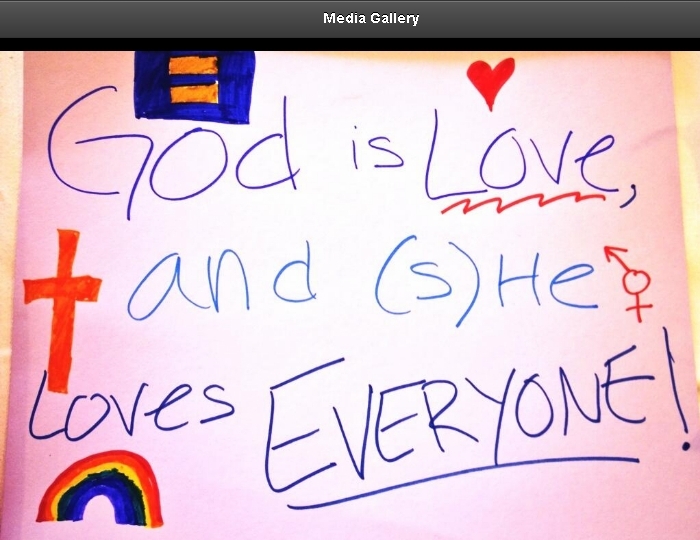 3) Nov. 17, 2013 – He posted the following photo from the Explo 13 Sacred Space area, which refers to God as “(s)he”. 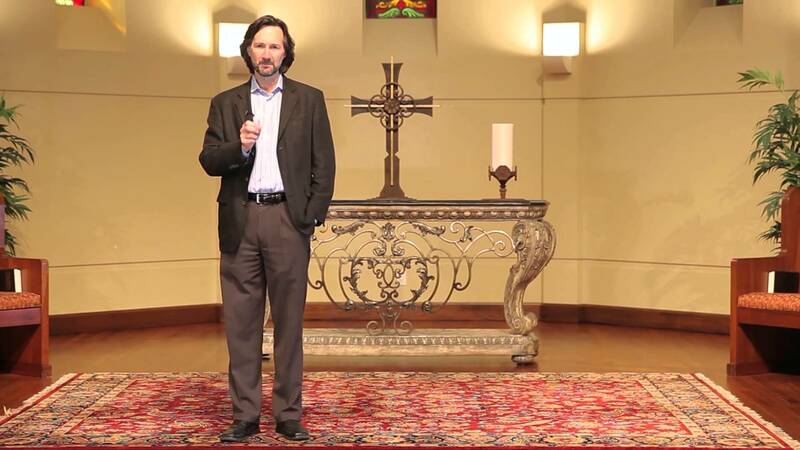 The UMC – like many mainline denominations – is getting heavily into goddess worship – click here for many articles on this.